The most popular shari mixer! Optimal for sushi restaurants, delivery or take away. Freshly boiled rice without lumps, evenly mixed with vinegar and dressing and cooled to the required temperature for 3-5 minutes. 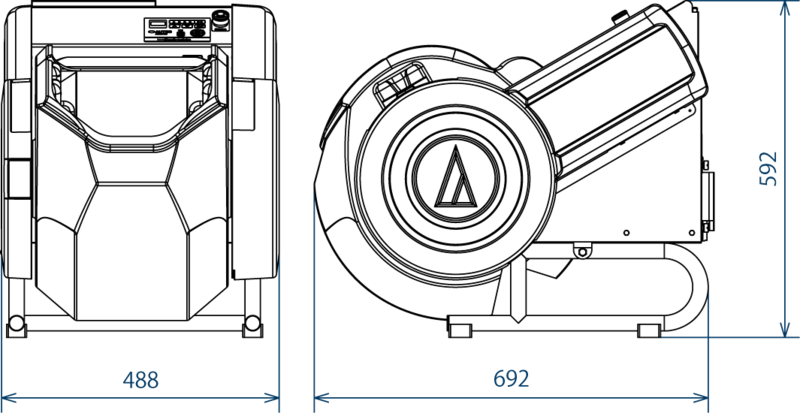 Turbo fan, program settings made by electronics, a reservoir for condensate. This model works on the principle — «to put a robot on a table and forget about problems due to human error while cooking rice for sushi». ♦ At the mixing step, it is possible to add preservatives to rice. Using the proper package and storage temperature — the sale-by date can be extended to 10 days without freezing. 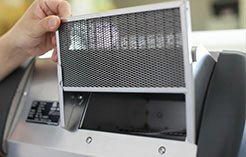 Upon purchase of the equipment — we can provide you with technical support and share the successful experiences of our clients. This video show the Japanese modification. The overseas models are fully labeled in English. Ideal for sushi restaurants, sushi delivery. 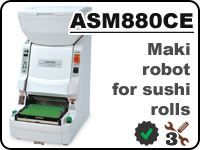 This robot easily copes with peak loads when there are lots of orders (holidays/weekends). 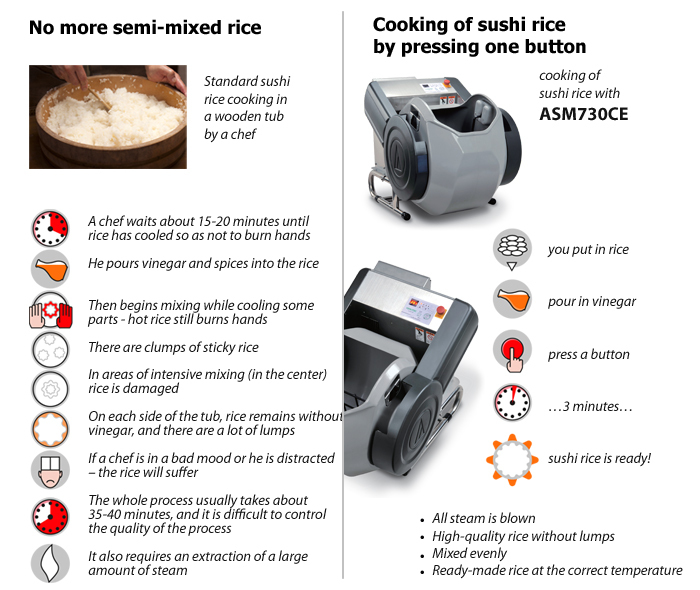 A highly effective machine for cooking sushi rice is similar in functionality to ASM780. 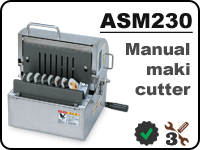 Can be used on a working surface of 70 cm wide. 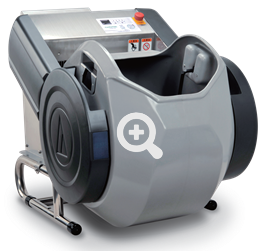 The weight of the drum is considerably reduced, so it is possible to lift it easily out for cleaning. 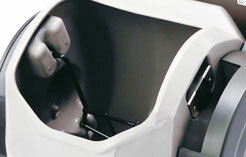 The drum is made of a high-quality resin material that has considerably simplified its ability to be cleaned — it can be washed directly in a sink. 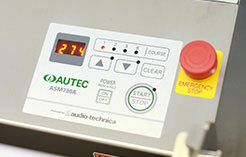 ASM730 uses a new method of mixing rice with ingredients. The new method is perfect when preparing Japanese style rice (for this purpose it is necessary to adjust only mixing time). 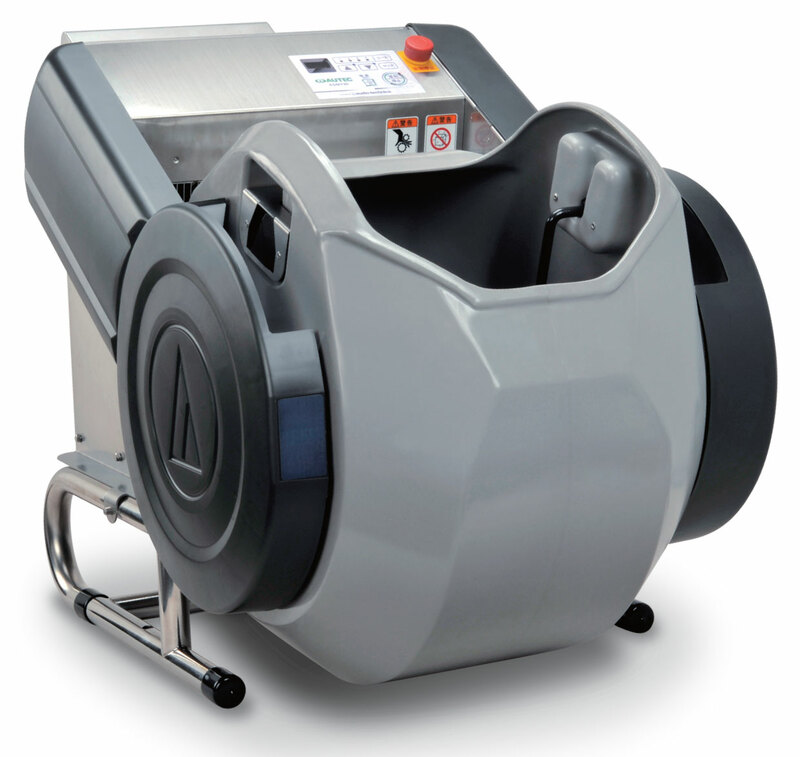 The machine interrupts work if the hopper lid is opened. 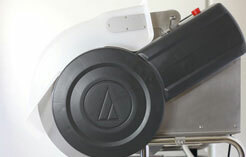 Lightweight lid protects rice from the dust during the mixing and removes steam. You can save 4 programs with your mixing settings. Special filter cleans the air entering to the rice. 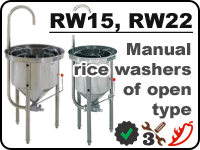 The new method of mixing is intended to keep the rice from damage. Regulation of temperature air by turbofan. Special antibacterial coating, no Teflon. The weight of the drum is just 3.5kg. 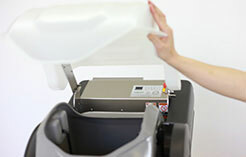 It is possible to lift it easily out for cleaning. Easier than ever before. Weight 35 kg. 47 kg.